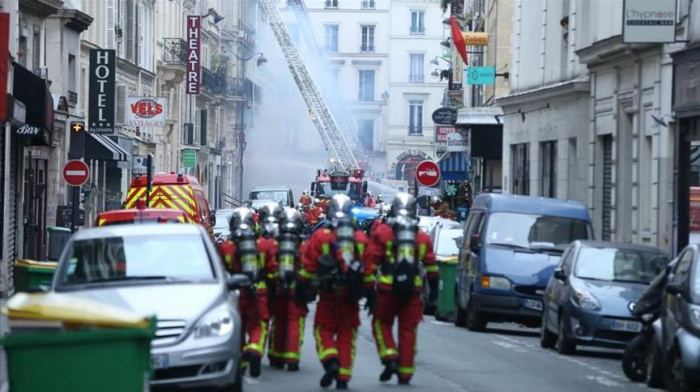 At least two firefighters were killed after a gas explosion at a bakery in the French capital on Saturday, according to the Paris prosecutor’s office, Anadolu Agency reports. In a statement, the office said 47 people were also injured, 10 of them seriously, as a result of the explosion. Earlier, French Interior Minister Christophe Castaner had said that four people were killed at the explosion. According to police, a fire broke out, followed by an explosion, in the bakery on Rue de Trevise in the 9th arrondissement of north-central Paris.